More miles are driven. Lower gas prices in recent years mean many American families can afford to drive more. Increased time on the road leads to more accidents and more insurance claims, therefore insurance rates are adjusting throughout the country to better cover these expected costs. Distracted driving. According to a State Farm® survey, almost one-third of drivers access the internet while driving, and 10 percent record video with their phones. Even voice-activated car commands can divert cognitive abilities and attention. Collision rates have skyrocketed in recent years as the vast majority of Americans – 95% – now own a cellphone of some kind. The share of Americans that own smartphones is now 77%, up from just 35% in Pew Research Center's first survey of smartphone ownership conducted in 2011. Rising repair costs. Parking sensors, lane-departure warnings, airbags, and even stronger materials are now widely available on many vehicles. While those smarter sensors and stronger parts can help improve safety, they are also more expensive to repair. Since 2005, the cost of body work has risen nearly 40 percent more than overall inflation, and the size of collision claims increased 8.2 percent from 2014 to 2016. Total losses increasing. Safety and legal concerns stemming from higher tech and safety devices in most vehicles have led many repair shops and adjusters to err on the side of totaling a vehicle instead of repairing it. Fewer and fewer auto body shops capable of making complicated repairs has also had an impact on increased costs and led to total loss estimates increasing. Total losses mean large claims on VSI and CPI policies with Modified ACV settlement options (Lender GAP) and on GAP Waivers sold to borrowers. As an industry leader in specialty products for lenders, Golden Eagle Insurance has seen a significant spike in claim amounts. Leading insurance providers in the industry have seen increases of 30% in the size of VSI claims in just the last 2 years. GAP Waiver claims have risen over 10% in size the last 2 years. The takeaway: The amount and frequency of auto insurance claims are rising. 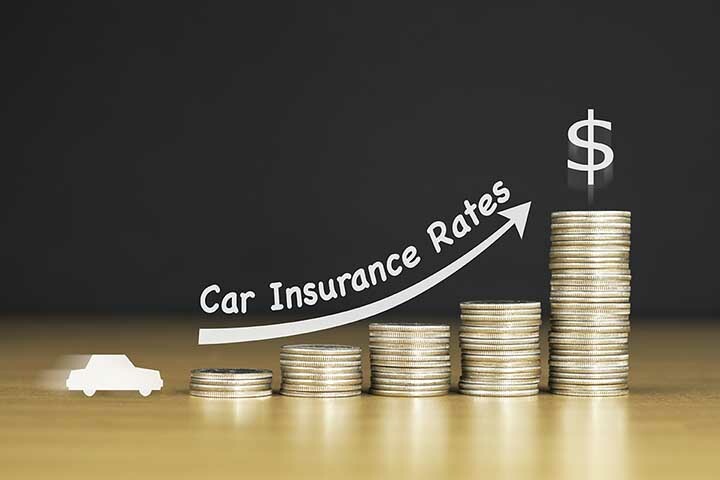 To keep up with these costs and ensure that you and your assets are properly protected, the rates on all auto-related insurance products are on the rise industry-wide including Force-placed, CPI, VSI, and GAP. The industry has changed and the need for VSI, CPI, and GAP has never been greater. The need for a relationship with a high quality, customer centric agent that is directly involved in your claims process never been greater. See our blog post: As car values struggle, VSI and Gap in demand. We help lenders determine the most efficient way to mitigate risk in their lending programs. Click below to set up a time.